Nihon Falcom released the first Ys game on the NEC computer system in 1987, and since then the series has become the studio’s flagship franchise. Ys games have been developed for a wide range of platforms, from Sega Genesis to PlayStation 2, Nintendo DS to Xbox One, and many more. Each game in the Ys series chronicles a different journey in the life of Adol Christin, a young, but experienced adventurer. Ys VIII begins with Adol and his frequent companion, Dogi, booking passage Xandria to Eresia on a large ocean liner. Midway through their voyage, the ship is attacked, and after an intense battle with a giant sea monster, the passengers are thrown overboard. Those who survive find themselves washed ashore on a supposedly cursed island, teeming with powerful monsters, long thought extinct. This strong boy was just one of the many giant creatures I fought as I explored the island of Seiren. 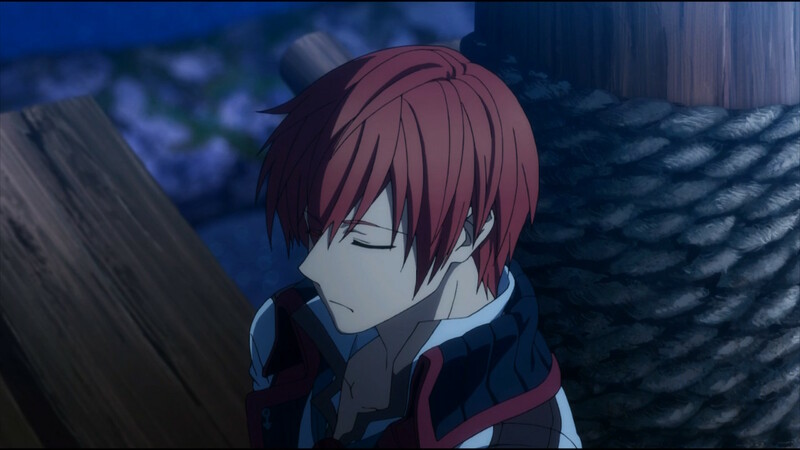 Adol and the other surviving ship passengers quickly band together and find shelter in some nearby caves. Before long the castaways build a small village and begin to explore the island in search of other survivors, as well as materials they can use to build a ship and escape. Much of the early game is spent building relationships with other castaways, and gathering materials to reinforce the village’s defenses. Exploring the island in an effort to scope out potential resources and search for other shipwreck survivors provides a decent backdrop for players to learn the mechanics of the game, but it leads to a pretty slow first half. After crash-landing on the island of Seiren, Adol has strange dreams of a young woman named Dana. 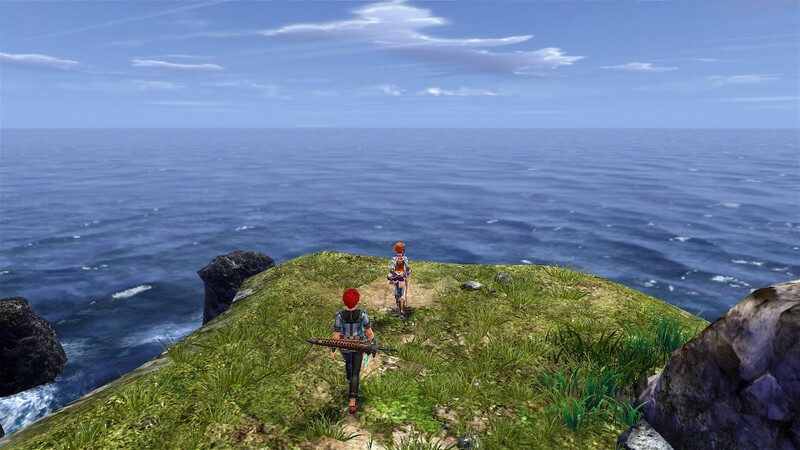 Soon after landing on the island, Adol begins to have dreams of a young, blue-haired girl named Dana. As the game progresses, (and especially after the halfway point) Dana takes on a more central role, and things begin to get a little more interesting. Over the latter part of the game details of Dana’s past are revealed, as are the sinister events unfolding on the island. Characters can feel one-dimensional, stereotypical, and a bit trope-y at times, and the quality of dialogue leaves a bit to be desired. 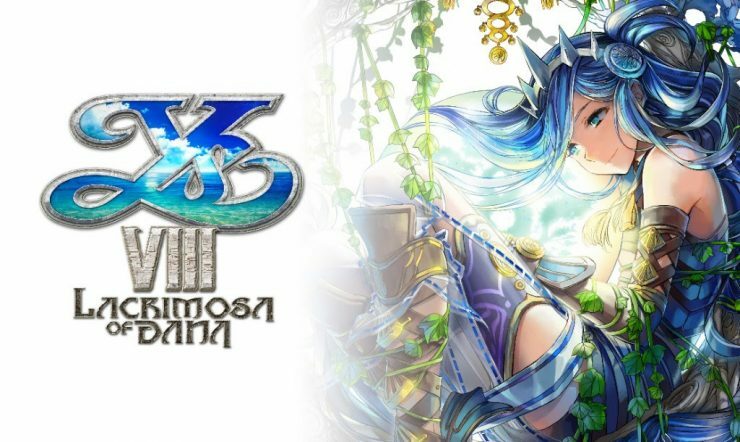 There are a few pacing issues as well, but ultimately Ys VIII tells one of the most interesting stories I’ve experienced in an RPG in recent years. 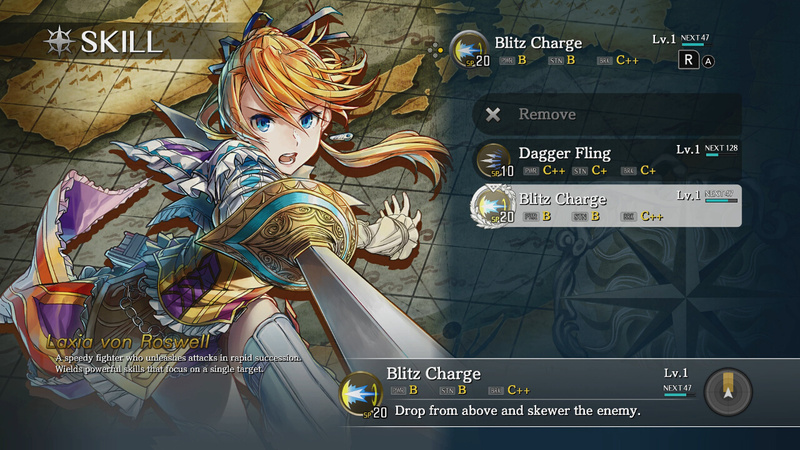 Be sure to check the area of effect and damage scaling for each new skill, so you can optimize your team for your preferred playstyle. Ys VIII is a party-based action RPG with a heavy focus on exploiting weaknesses, using special skills, and creating combos. Enemies have weaknesses which correspond to party member’s weapon types, and each party member is locked in to a particular type, so players will have to give some thought to which party members, and skills, they want to use. 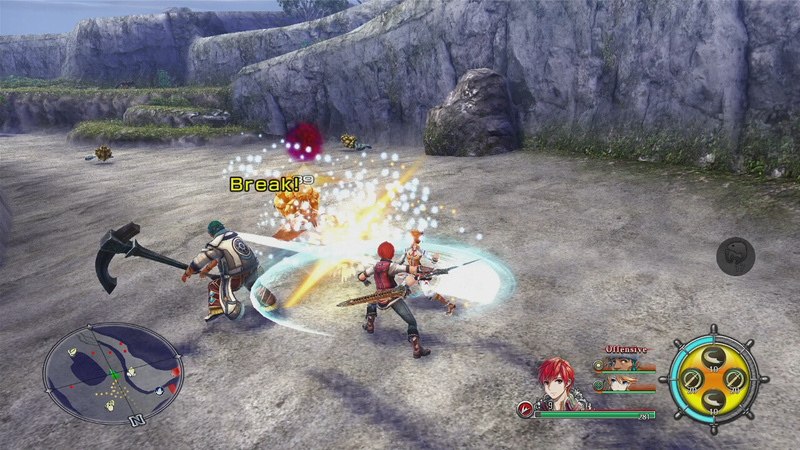 Switching between party members happens instantly, so players can knock down an aerial character with Laxia and continue to attack on the ground with Adol. Combat is streamlined, fast, and satisfying, with characters flying across the screen while using special abilities. If an enemy is weak to Slash damage, attacking with Adol will inflict Break status, which allows other party members to deal more damage. Fighting isn’t all there is to do on the island, however. There are plenty of opportunities to grow food and other resources, craft armor, weapons, and even consumables, and, yes, there is a fishing minigame. SPECIAL NOTE: NIS informed us there are three planned patches for the game, starting with a Day 1 Patch, which will address issues with text sometimes not displaying correctly, as well as “other known issues.” These patches were not available to us, so keep in mind our review reflects the unpatched version of Ys VIII. Although Ys VIII does offer up varied environments, most reminded me of RPGs I had played on PS2. Few environments were graphically impressive, and a few areas had sparse landmarks and winding pathways, so it was easy to get lost. 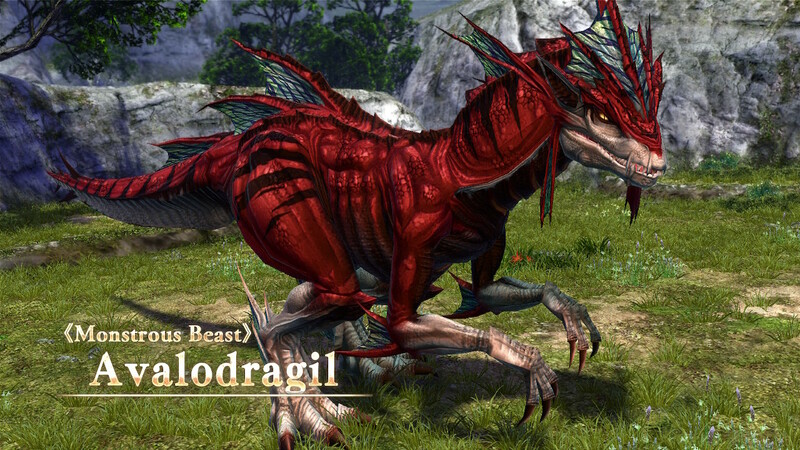 During introduction cutscenes, when games typically put their best foot forward, beasts and areas showcase low-count polygons or graphical hiccups. During the heat of battle, these issues don’t stand out, but when I took a moment to stop and look around I found myself wanting a visual fidelity from the game it just wasn’t able to deliver. Although the game’s sliding resolution keeps it from being particularly impressive, and some sections of the island can be downright confusing, there were definitely still times I would turn a corner and find a spectacular view. Ys VIII suffers from some visual muddiness while being played in handheld mode, with images appearing slightly smudged. Although playing in docked mode resolves this issue, resulting in a crisper image, playing on a bigger screen highlighted the game’s resolution, which scales, but often lands lower than I would have liked. This sharply contrasts with the party menu character art, which is vibrant and full of personality in a way the in-game models are seriously lacking. I found myself consistently wishing the game resembled the art. Ys VIII uses a variety of art styles for it’s interstitials, but I found the rare animated cutscenes the most enjoyable. While playing the introduction, the music is pretty standard Japanese RPG fare; digital orchestra music which adds a hint of charm without offering much substance… and then the first fight starts. As soon as the sea monster fight began, the music abruptly changed from orchestral Renaissance-style music to adrenaline pumping speed metal (complete with digitized sweep picking and double bass) and I immediately abandoned myself to the fast, fluid combat mechanics, and nothing else mattered. 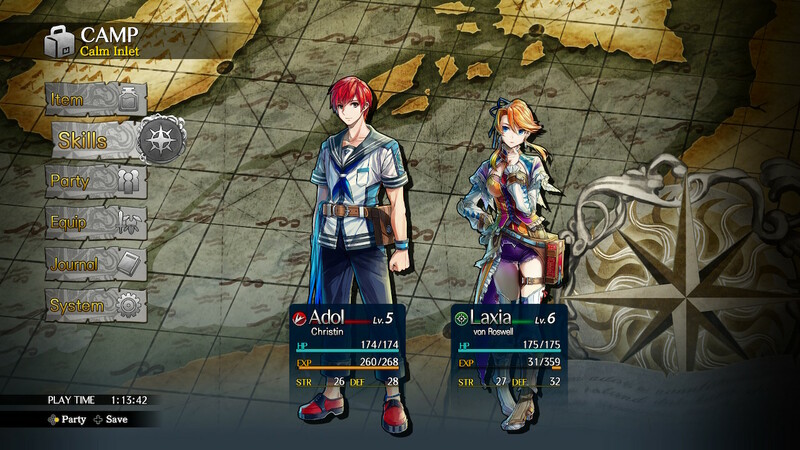 Adol spends much of his time searching for other castaways, but only a few of those with fighting experience end up joining the party. While Ys VIII won’t win any awards for graphics, music, or dialogue, it is undoubtedly fun. In many ways, it feels like the PS2 RPGs I poured so many hours into, and although the game suffers from a few visual hitches, it also sports a number of interesting systems, such as relationship building, consumable crafting, and wave-based defensive missions, and they all work pretty well. The action is fast and responsive, menus are light and snappy, and load times are short, which is a godsend in a long RPG like this one. Unfortunately, with other RPG franchises like Persona taking a bit more of a stylish, polished, and artistic approach, Ys’ shortcomings can be disappointing. Still, while some may balk at the $60 price tag, there is a ton of content in this 50-100 hour game. Although the early game has a lot of padding which could have been removed to help with the story’s pacing, I did ultimately have a good time. 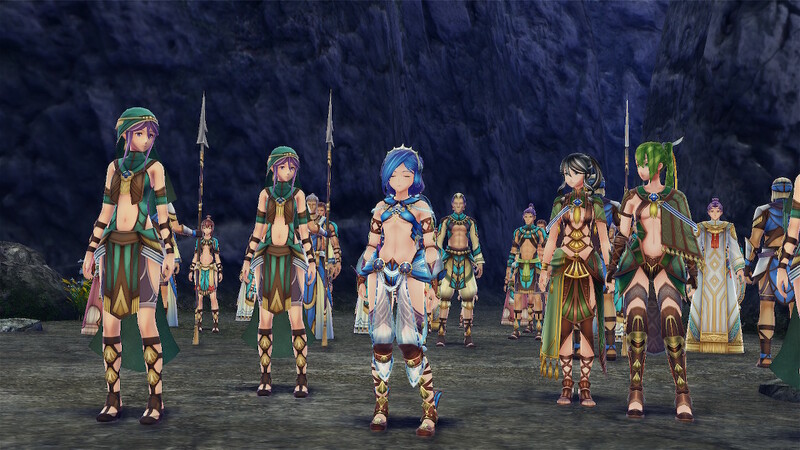 Ys VIII tells an interesting story, even if it fumbles a bit along the way, but for fans of real-time party-based action RPG’s who don’t mind the grind, Ys VIII may be just what the doctor ordered. 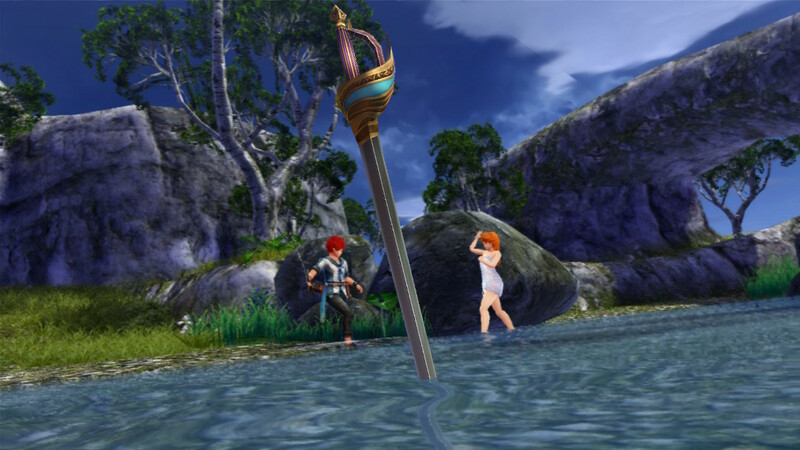 Ys VIII suffers from a number of stereotypes and tropes, including a cringeworthy moment in which Adol stumbles upon a woman bathing.